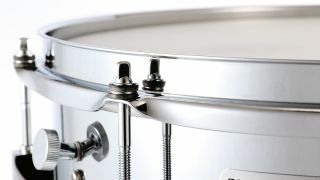 The challenge which we are pursuing is the reproduction of “that sound” – the idealised metal snare drum sound that everyone, regardless of whether professional or amateur, aspired to – starting back in the 60’s and 70’s. 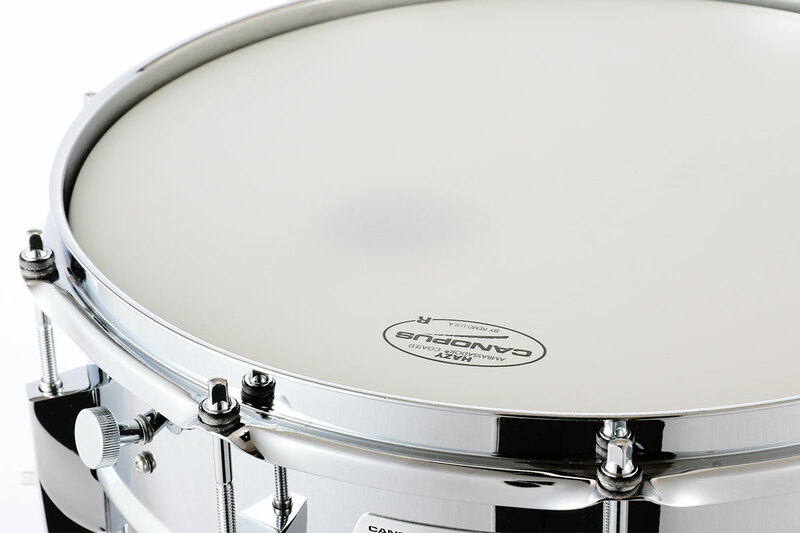 This sound, is something magical – somehow beyond just a simple musical instrument. 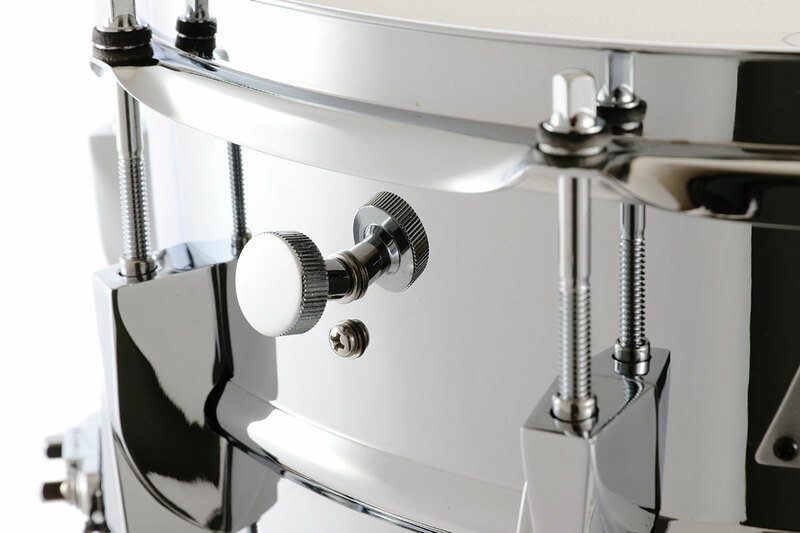 It is still universally loved and revered as a marvellous sound that can blend into any musical genre or situation smoothly – live performance, recording, rock, jazz, blues, pop and more. 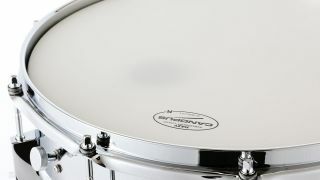 Even though it is an aluminum alloy, the innermost details of the manufacture and production of these drums have long been shrouded in mystery and rumours. 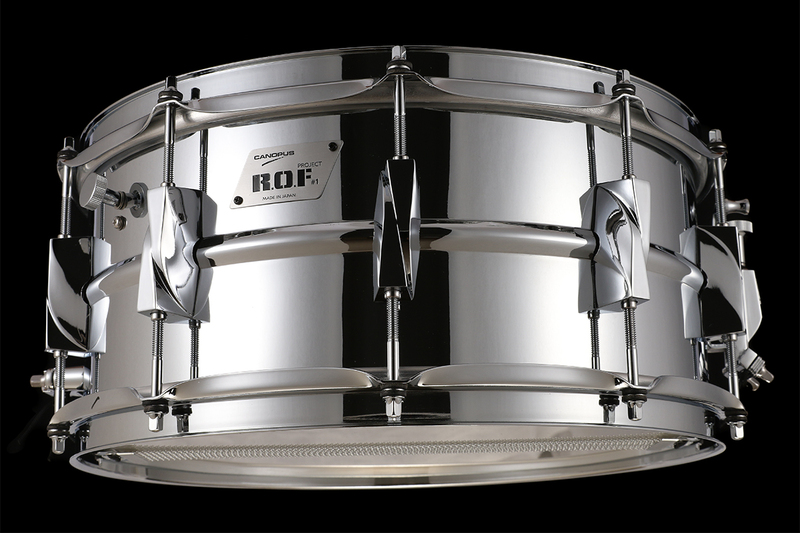 Various manufacturers and drummers have tried to reproduce the sound – but, thus far, none have truly succeeded. 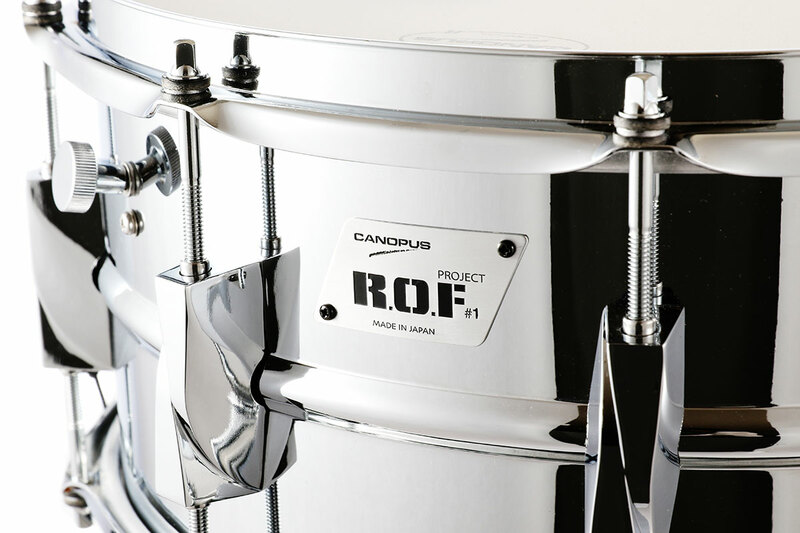 Canopus has begun a project that attempts, by peeling the layers of mystery from that drum one by one, to reveal and recreate the truth of ”that sound”. 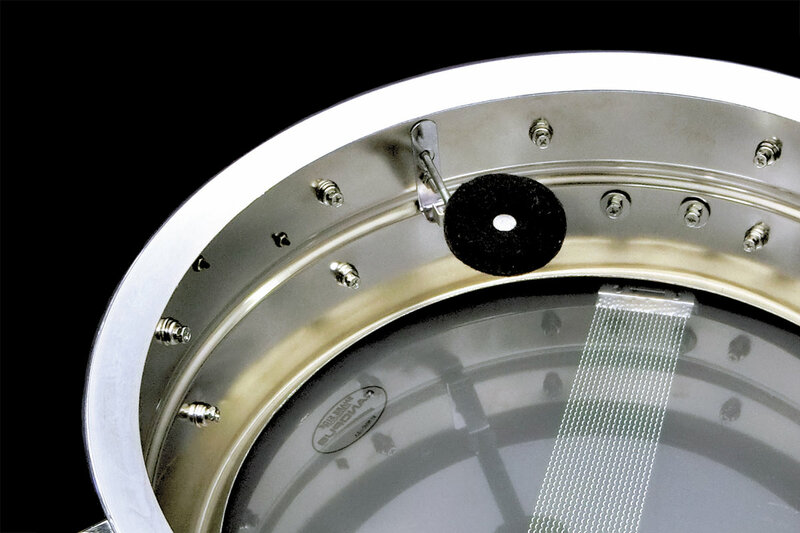 In our ROF Project #3 we were concerned with the size of the rolled bearing edges on our metal shell. 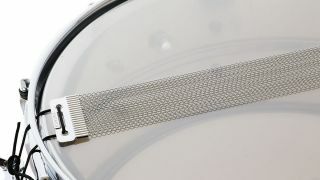 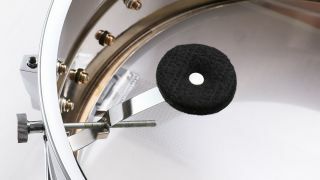 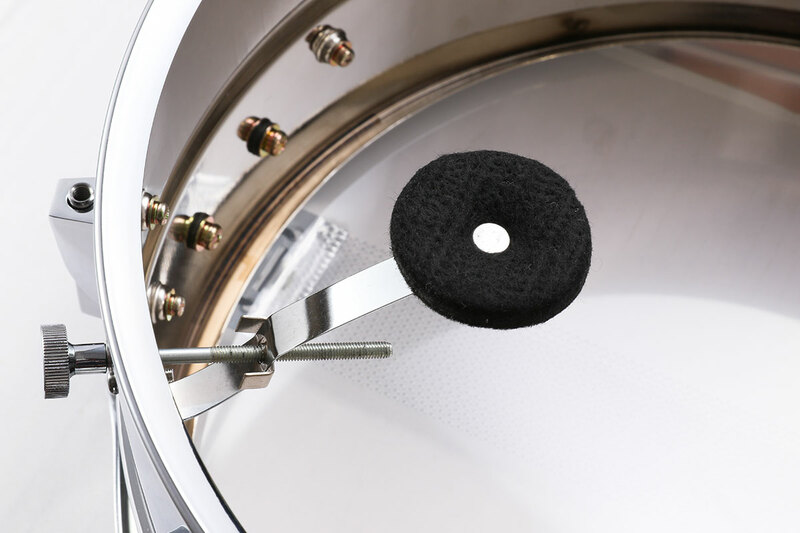 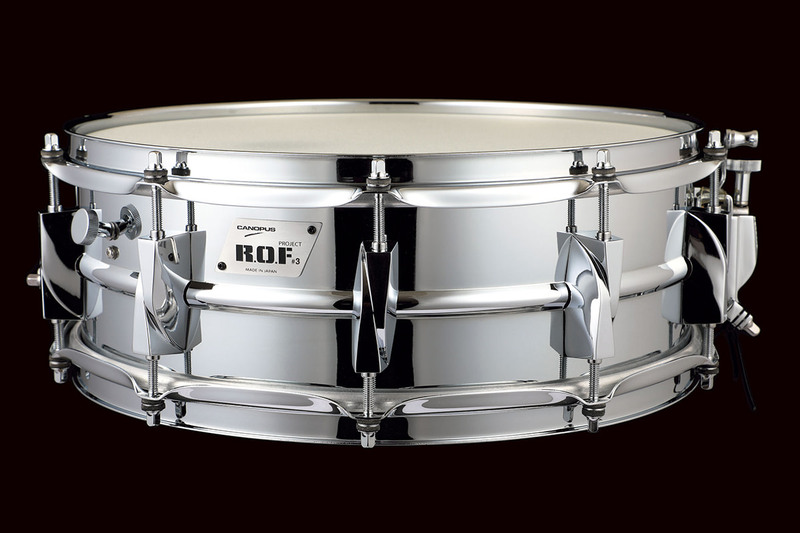 The flanged bearing edge is the rolled part of a metal shell forming the edge upon which the heads are seated – and there are various size of edges among vintage drums depending on their age. 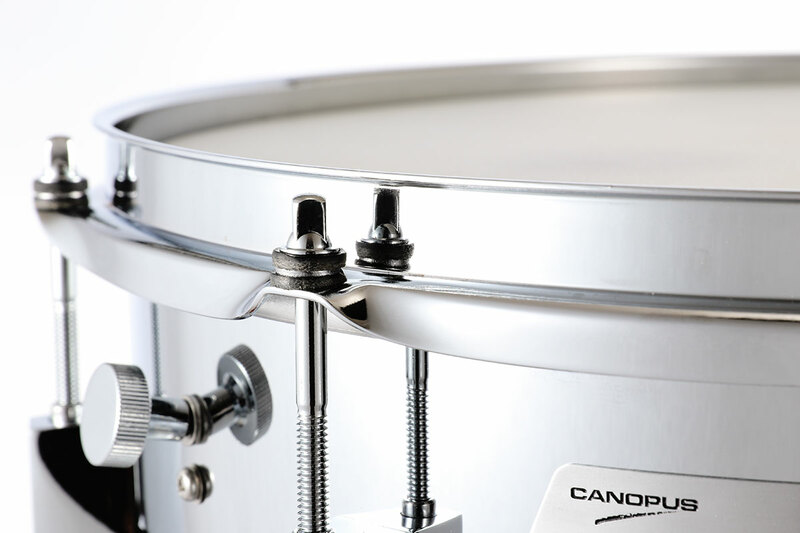 These edges are an important factor in drum construction – having a big influence on tone, resonance and projection. 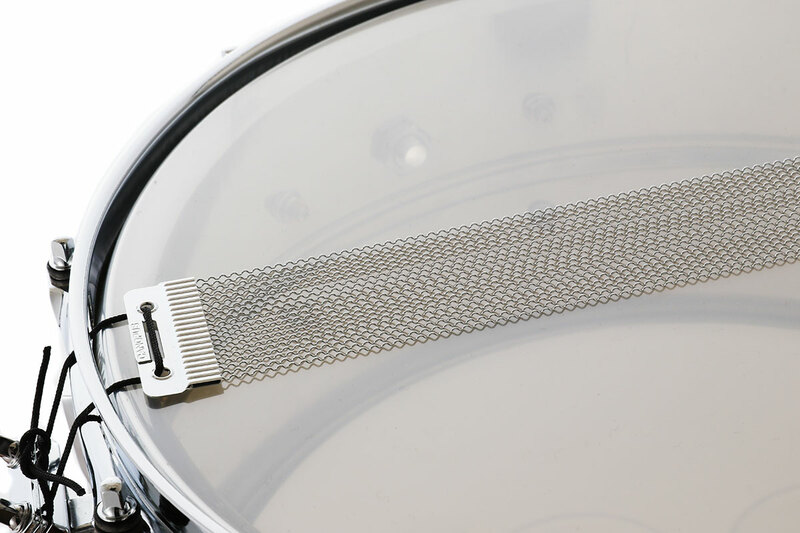 A deeper 18mm flanged edge, provides a smooth sound with attractive mid-low frequency response. 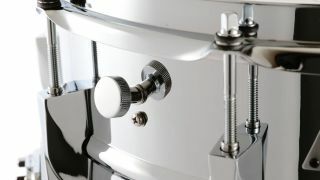 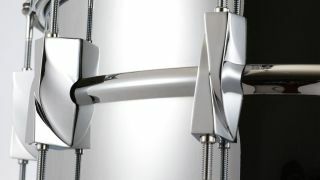 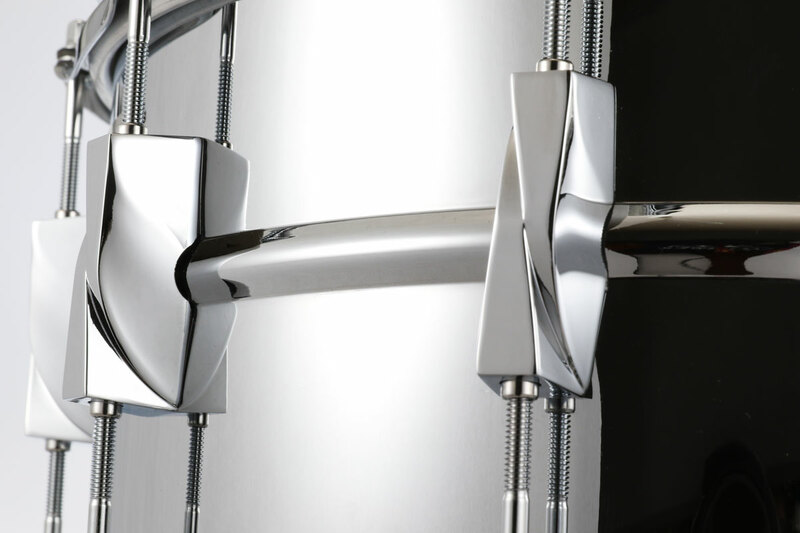 In addition, tuning is accurate and easily adjusted at any tension. 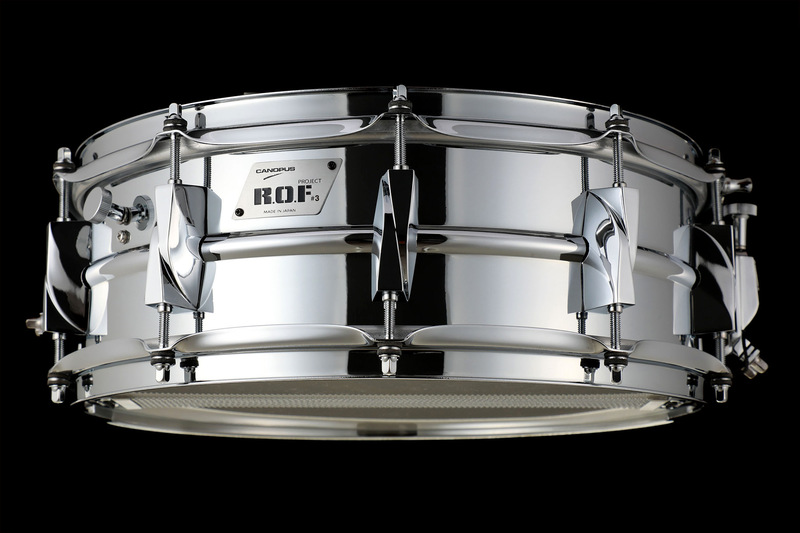 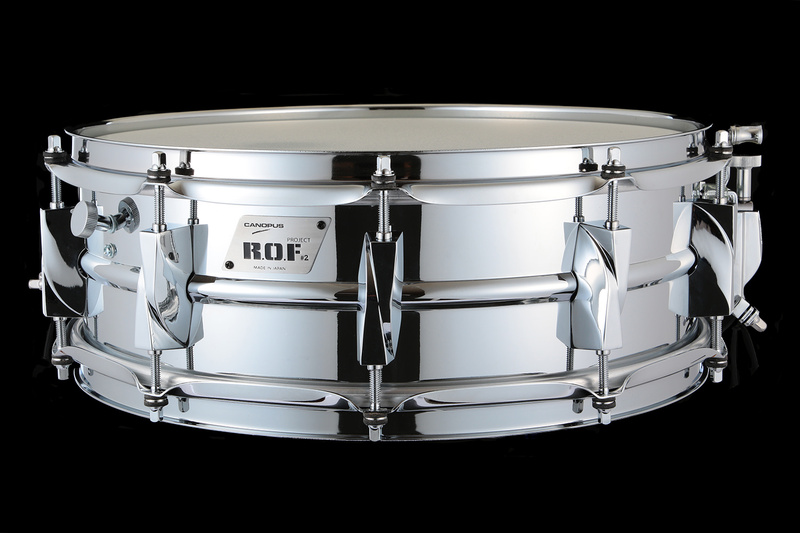 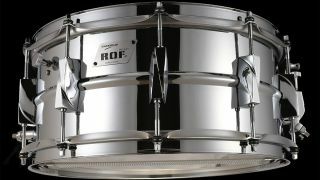 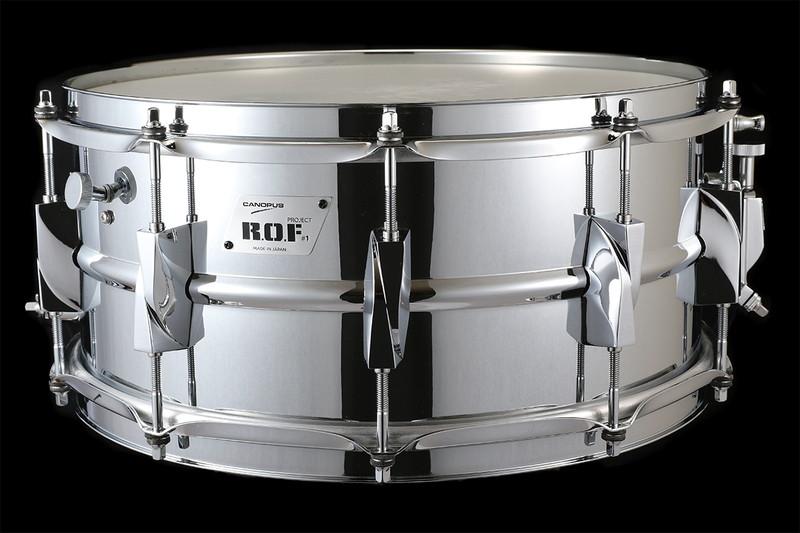 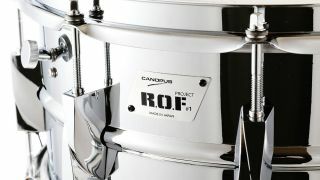 This drum is a continuation of R.O.F #1 and #2 – even though the outward appearance is the same – you will experience an amazingly different sound!